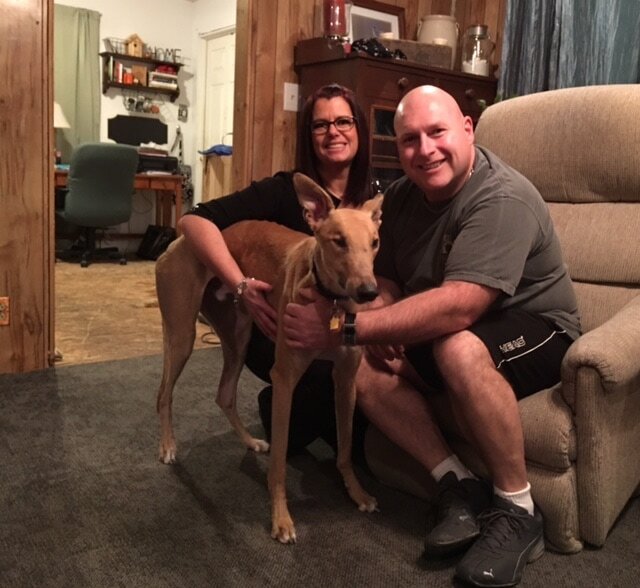 ​Hey Eli went home with Holly and Bill who live in Milford. It was cute that their three cats sat on the couch or table and just stared at the dog. Eli went to each one and they did a hiss or slap and Eli quickly retreated. They were not intimidated by him at all and was just letting him know it was their house. I'm sure after Eli knows they are going to be his friends he'll be fine. Holly said she hopes to get involved with GAGC and attend our events with this handsome boy in the future. Eli will be loved and given lots of attention.